Robert F. Muth is the supervising attorney for the Veterans Legal Clinic. Recently, he was a litigation associate at Godes & Preis LLP, a civil litigation firm with offices in Orange and San Diego Counties. Previously, Muth was a Captain and Judge Advocate in the U.S. Marine Corps, serving in Iraq and Camp Pendleton in San Diego. While deployed, he served as the Senior Defense Counsel for the Marine Corps in Iraq. Muth was named the Defense Counsel of the Year in 2008-2009 by the Navy-Marine Corps Trial Judiciary, Western Judicial Circuit. The Evans Scholars Foundation named him 2002 National Leader of the Year. He earned his BA in 2002 from Northwestern University and JD in 2005 from Duke University School of Law. Alison M. Brown is a staff attorney for the Veterans Legal Clinic. Before joining the Veterans Legal Clinic, Ali was a trial attorney with Dependency Legal Group of San Diego. Previously, she was a trial attorney at Hanna, Brophy, MacLean, McAleer & Jensen, LLP. Ali earned her BA in Philosophy and French in 2003 from San Diego State University and her Ph.D. in Philosophy in 2010 from Florida State University. She earned her JD in 2013 from the University of San Diego, where she was chief student comment editor of the San Diego International Law Journal and a member of the Appellate Moot Court Board. Ali is also an adjunct professor of law at the University of San Diego School of Law, where she teaches Fundamentals of Bar Exam Writing. 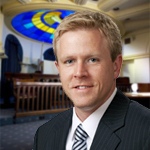 William Turnbow is a staff attorney for the Veterans Legal Clinic. He is also the principal at the Turnbow Law Firm, a business law firm in downtown San Diego. William is licensed to practice law in California, where he has acquired extensive litigation and trial experience in both state and federal court. 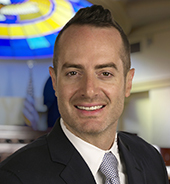 He earned his BA in 2006 from Western Washington University and his JD in 2011 from the University of San Diego School of Law, where he was a member of the San Diego International Law Journal and earned two CALI Awards in Law of the Sea and International Arbitration. ﻿Kelly Giske Hallett has worked at the USD Legal Clinics since October, 2015. She brings over 25 years of legal experience ranging from law firm administration, civil, corporate, licensing, trusts and estates. Kelly is also very involved in community volunteer work promoting the arts and literacy in San Diego’s public schools. The Veterans Legal Clinic is staffed by upper-level law USD law student interns.